Black Bolt frees the Inhumans from Maximus’ Negative Zone barrier with the power of his voice. The Fantastic Four battle Blastaar (exiled from his own race) when the Negative Zone portal in the Baxter Building is accidentally left open during an attack by the Sandman. The FF first encounter and defeat a robotic Kree Sentry (459). The Kree Supreme Intelligence responds by sending Ronan the Accuser, whom the FF narrowly defeat. 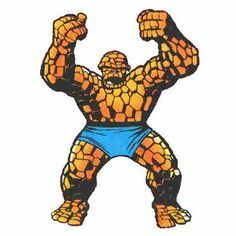 Alicia Masters and the FF discover Him (later renamed Adam Warlock), a being created by the mysterious Beehive scientists. The Torch, Thing, Inhumans and Black Panther repel the Psycho-Man, an emotion-controlling criminal from Sub-Atomica. The Hulk meets the Russian spy Emil Blonsky, who uses a gamma device to become the Abomination, and almost kills the Hulk. The Hulk fights the Silver Surfer. When his "New-Men" rebel, the High Evolutionary kidnaps the Hulk to Counter-Earth. 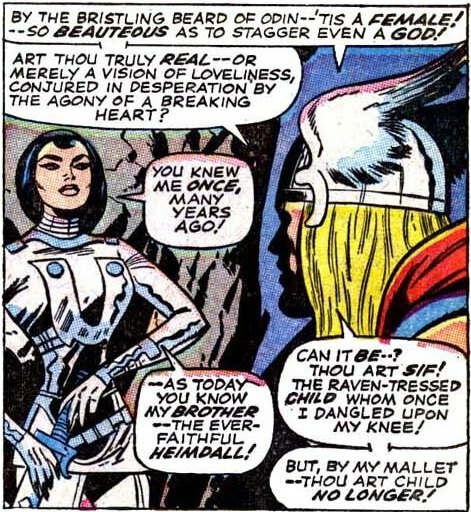 Jane Foster fails to prove herself worthy as an Asgardian immortal. 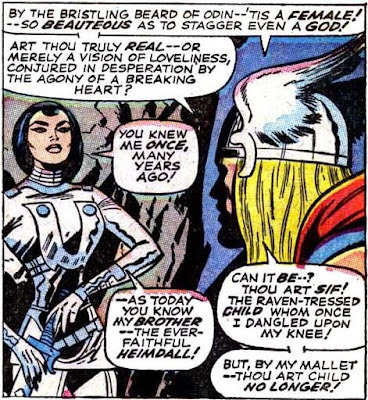 Her relationship with Thor ends when Odin erases her memory. Thor reunites with Lady Sif. Thor faces Ulik, the most dangerous of the subterranean rock trolls. The trolls attempt to invade Asgard with the help of the alien (Celestial-like?) Orikal. While Odin battles one of the Enchanters Three on Asgard, Thor, Sif & Balder defeat the other two on Earth. Captain America and SHIELD Agent 13 face the rebel psychic cyborg MODOK, created by AIM. SHIELD agent Jasper Sitwell joins Stark as liaison and special operative. The Avengers add Hercules to their roster. The Avengers fight the Soviet Red Guardian, the Black Widow’s previously-thought dead husband, but he is killed in an act of sacrifice. The Avengers past and present battle the Mandarin. While battling Magneto, the Avengers meet Dane Whitman, the 3rd Black Knight, this time a hero. The mutants face Factor Three & Banshee, a former Irish Interpol agent who has super-vocal powers. The X-Men end the "Subterranean War" by causing Tyrannus and the Mole Man to lose their memories. When Spider-Man lets slip that Daredevil is Matt Murdock, Matt pretends that it's actually his "twin brother", Mike Murdock, that is the man without fear. Spider-Man meets the Shocker. He also moves in with Harry Osborn. Peter decides to quit being a hero, but changes his mind just in time to battle the newly arrived Wilson Fisk, the Kingpin of crime. Dr. Strange fights Baron Mordo and Nebulos to spare Earth from destruction by the Living Tribunal. Strange and Victoria Bentley encounter Yandroth, the ruthless Scientist Supreme of another dimension. Nick Fury learns that the new leader of HYDRA is his old WW II nemesis, Baron Strucker, who develops the Overkill Horn and the Death-Spore. However even Strucker's Satan Claw cannot stop Fury from destroying HYDRA Island, virtually all on his own. Fury meets SHIELD agent Contessa Valentina Allegro de Fontaine, and then FBI agent Jimmy Woo. The Yellow Claw attacks NYC, but is later revealed to be a robot, manipulated by Doctor Doom. Fury's team is joined by the ebullient Clay Quartermain. The Sub-Mariner's old enemy from the 40s, Prince Byrrah, resurfaces and contests Namor for his throne. Namor visits the original site of Atlantis on his way to fight the Plunderer in the adjacent Savage Land. Captain Marvel ("Mar-vell") of the Kree arrives on Earth to investigate the destruction of Sentry 459 and the defeat of Ronan the Accuser. His mission is also to decide whether Earth should survive or face obliteration. These blogs function not so much as "web diaries" but more like "online books" I've written (or am writing), with each post being analogous to a book "chapter". The blog projects I work on are typically histories, song breakdowns, synopses, and/or analyses. I've learned a lot while creating these things, and I hope you enjoy them. 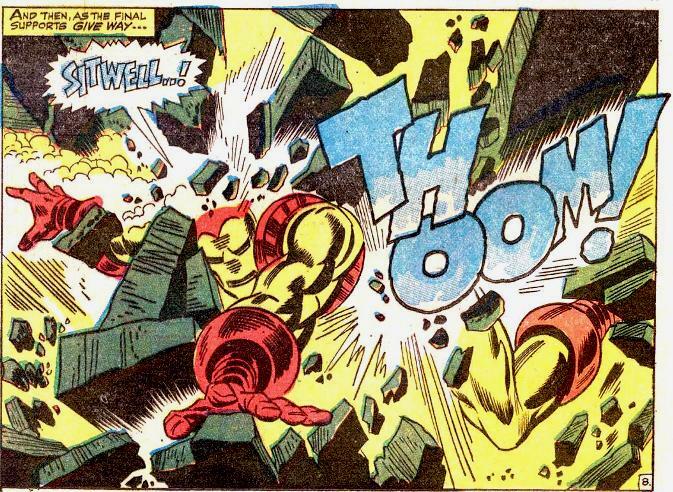 In this blog I'll be adding 1 year of "Marvel Universe Historical Events" in each post. Pre-1961 events are recorded in the four sections at top. I'll be reading Marvel comics in order of publication and "correcting" events as they are revealed in real time... Please feel free to make any corrections in the comments and cite issue #'s if possible. Dedicated to Stan, Jack and Steve. Sliding Timescale - MARVEL prefers that the FF's 1961 spaceflight took place 15 years prior to whatever the current date is. This is to explain why characters do not appear to age. Unfortunately this makes all references to topical events at time of publication completely open to confusion and/or retconning. I find retcons distasteful at best, and so I choose to use "real" dates. The concept of the "15 years" compression just to make the character designs more "static" seems like a using a hammer to squash a fly. All pictures, story-lines and concepts are the property and copyright of MARVEL and/or their respective owners. This blog maintained by Ed Chang.